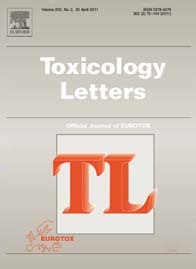 Toxicology Letters is the Official Journal of EUROTOX. Toxicology Letters is an international journal published by Elsevier for the rapid publication of short reports on all aspects of toxicology, especially mechanisms of toxicity. The current Impact Factor of Toxicology Letters is 3.479. For more information visit the journal website at ELSEVIER.